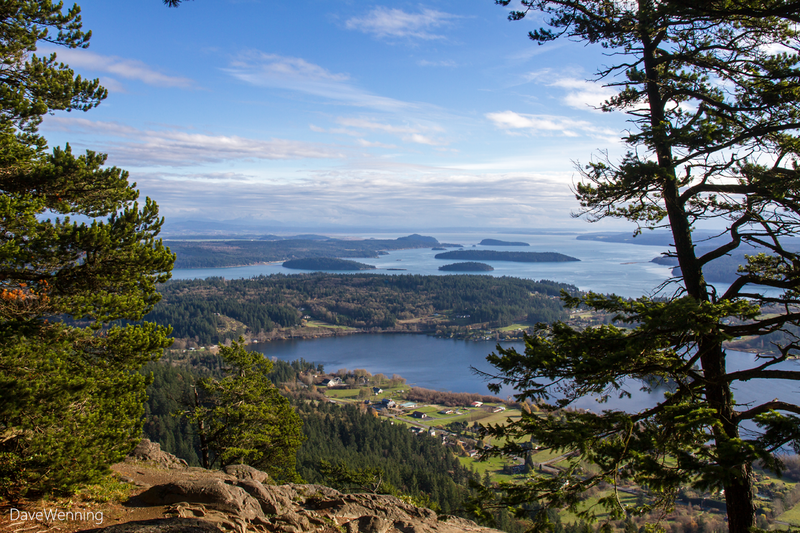 On Fidalgo Island, we can actually drive to the sky over a steep, narrow and winding road. At 1,273 feet/388 meters Mount Erie is the highest point on the island. This is where the sky begins for us. The harrowing drive is worth the effort, but don't try it in ice and snow. 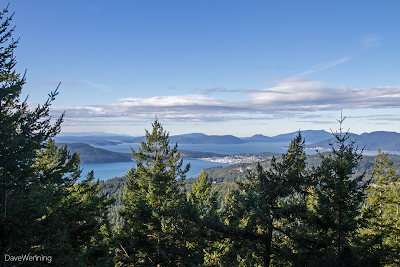 The views up here are spectacular making this Anacortes City Park a favorite spot for photographers. These photos were taken November 19, 2013. 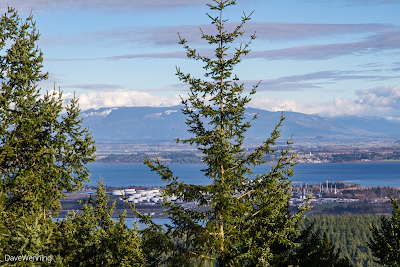 Northeast: Looking northeast towards the Cascade Mountains, the refineries on March's Point come into view. Beyond is Padilla Bay and the town of Bayview, Washington on the Skagit County mainland. Without clouds, Mount Baker is visible from here. It looks like time for the Anacortes Parks Department to do some pruning. 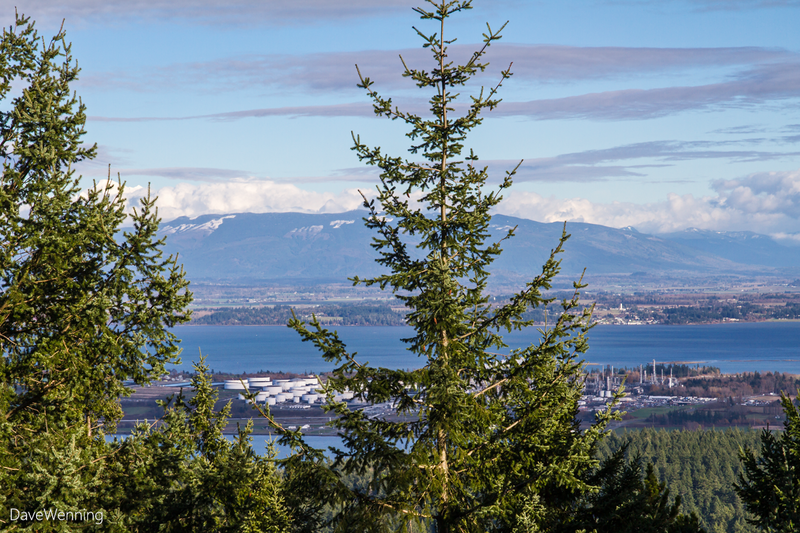 Those Douglas Firs grow fast and are beginning to threaten the views. 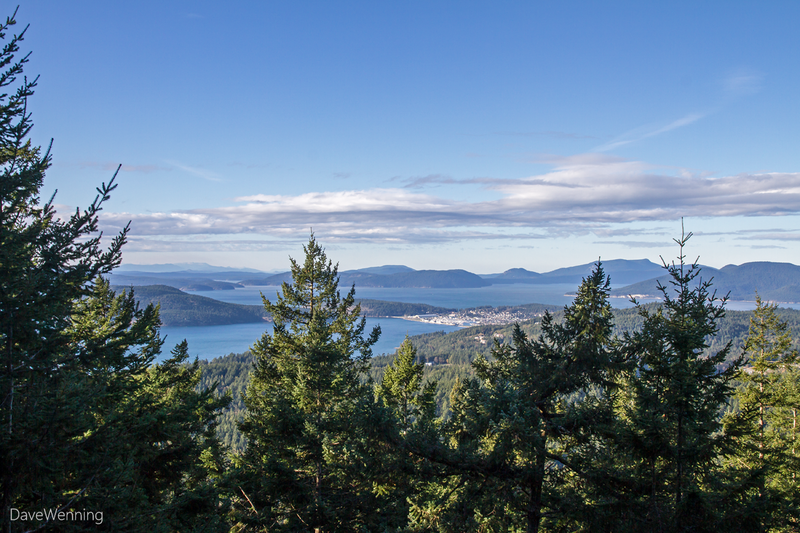 Northwest: The Skyline neighborhood of Anacortes is near the center of the photo. The peninsula to its left is Washington Park. 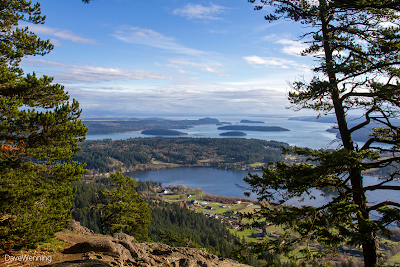 The San Juan Islands are on the horizon. 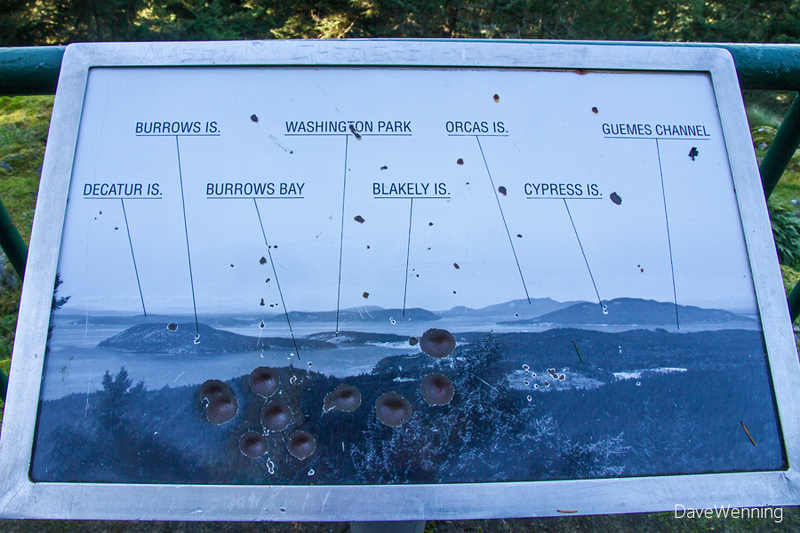 The following photo of the interpretive sign at the overlook is helpful for identifying individual islands. So beautiful! And I miss being able to visit there as I did when I lived in Seattle!! Thanks for the memories!! Hope you have a lovely weekend!! So beautiful in any direction! Gorgeous. I haven't ever been to Seattle but it is on my "bucket list." Wow what a view! Amazingly beautiful post - complete with your narrative and shots!